A LANDSCAPE DESIGNER ONCE TOLD ME TO CONCEPTUALIZE YOUR YARD AS YOU WOULD A HOUSE....CREATE "ROOMS" IN YOUR YARD...I NEVER THOUGHT OF IT THIS WAY AND I LOVED THIS CONCEPT! IT MADE ME THINK THE YARD IS EVERY BIT AS IMPORTANT AS THE HOUSE...ITS AN EXTENSION OF THE INSIDE SO TREAT IT THAT WAY. 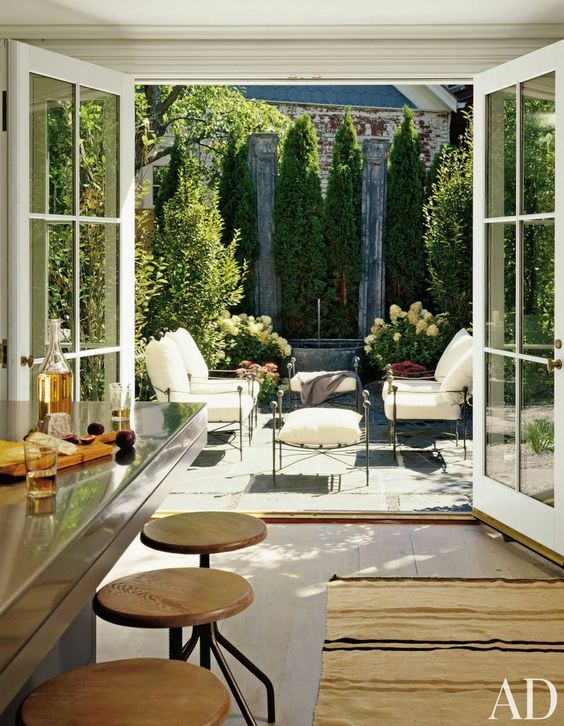 HERE ARE SOME GREAT "OUTDOOR ROOMS"!! !